Opening times Mon–Wed 9am–5.30pm; Thu–Sun 9am–8pm. A modernised version of the town's long-established Italian café and ice-cream parlour. 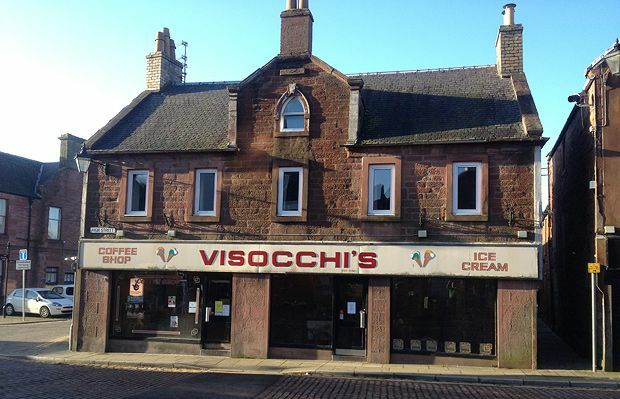 The current owners, who took over from the Vissochi family sold up in 2009, have recently refurbed this Kirriemuir favourite and created a charming Italian-style café and bistro, now serving evening meals with a good selection of pizzas and pastas. The ice-cream made here, based on an original recipe brought over from Italy in the 1930s, remains popular locally, with an array of 20 flavours including Italian cookie, ‘Bilberry Bliss’ or even a Peter Pan special (pineapple and marshmallow).